The once cutting edge sounds of drum and bass are now beginning to become overshadowed by its offspring dubstep, yet there remains a few innovators continuing to push the sound into new directions. 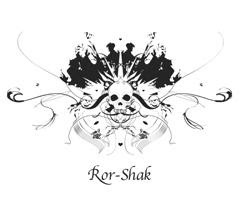 Ror-Shak (a play on those creepy Rorschach illustrations in which everyone sees something different) is a drum and bass project created by DB of renowned New York record shop Breakbeat Science and Stakka of DJ/production duo Stakka and Skynet. Pulling from influences such as Zero 7, Royksopp and even Massive Attack, DB and Stakka have infused their Ror-Shak project with a unique edge that is not seen in drum and bass music. Eclectic vocal performances, chilled out beats, and dramatic orchestral backdrops make Ror-Shak’s debut Deep an album with exceptional crossover potential that truly elevates the entire state of drum and bass out of its current doldrums. The interesting thing about Deep is that it plays like an electronica or down-tempo album with strong elements of drum and bass throughout. There is no denying the double time rhythms on tracks like “Fate Or Faith”, the soulful “Be There”, and the orgasmic “Lisa’s Song” featuring Lisa Shaw. The albums strongest cut, “Rescue Me”, featuring the fierce vocals of Wendy Starland, is an underground anthem in waiting, recalling the days of massive Roni Size tunes. A simmering breakbeat intro builds to a pounding bass assault, yet the track is grounded by the gritty voice of Wendy, assuring its potential to appeal to a wider audience. Yet despite the obvious drum and bass pedigree, Ror-Shak is determined to stretch beyond those confines and does so with relative ease and grace. They float back and forth between vocal tracks featuring the likes of David Lynch muse Julee Cruise (“Golden Cage”), Chantal Claret (“A Forest”) and Pedro Yanowitz, and instrumental tracks that aim to expand the consciousness (“Heist”). Tracks like “Love & Pride” and “Window Pain” may not appeal to fans of jungle but they are delightful ear candy that will undoubtedly appeal to those seeking a more chill experience. 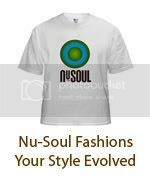 Ror-Shak has made a project aimed both at representing the tastes of aging drum and bass lovers that also hopes to display the more subtle charms of a genre associated with heavy bass drops and aggression. Well over a decade into the creation of drum & bass, Ror-Shak is looking to diversify and mature the music they love, and luckily they have succeeded.